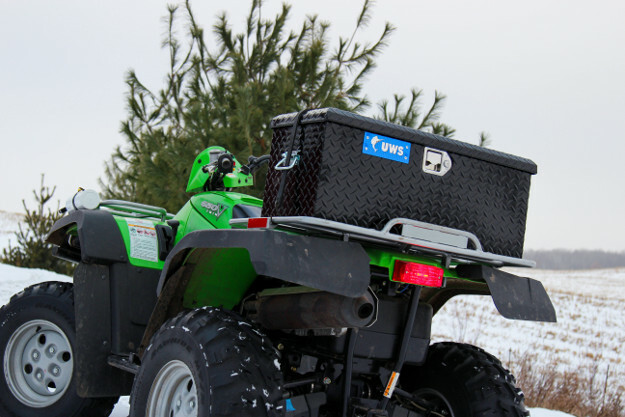 Whether you own a four-wheeler or side-by-side and whether you drive it for work or play, UWS has a dependable and convenient storage solution to fit your needs. Both our UTV and ATV tool boxes are built right here in the USA with a patented RigidCore™ lid design and extra-thick aluminum construction. 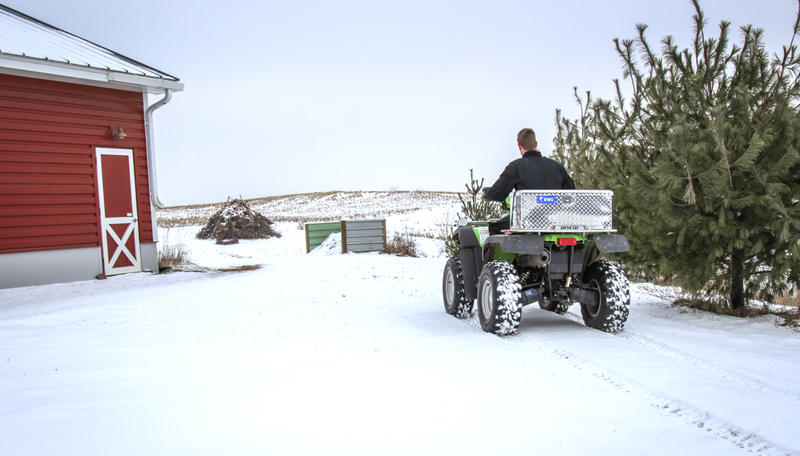 Our UTV tool boxes are built for vehicle-specific installation, while our ATV boxes feature a universal application. One of the defining features of UWS tool boxes is our patented RigidCore™ lid technology. Filling the aluminum lid of each box is a rigid core made from solid foam that greatly increases structural integrity. This unique lid design is able to more easily resist bending and warping, and it promotes smooth operation, opening and closing without binding. Our patented RigidCore™ lid design is applied to our UTV boxes and ATV boxes, giving them dependable strength for the trail ahead. 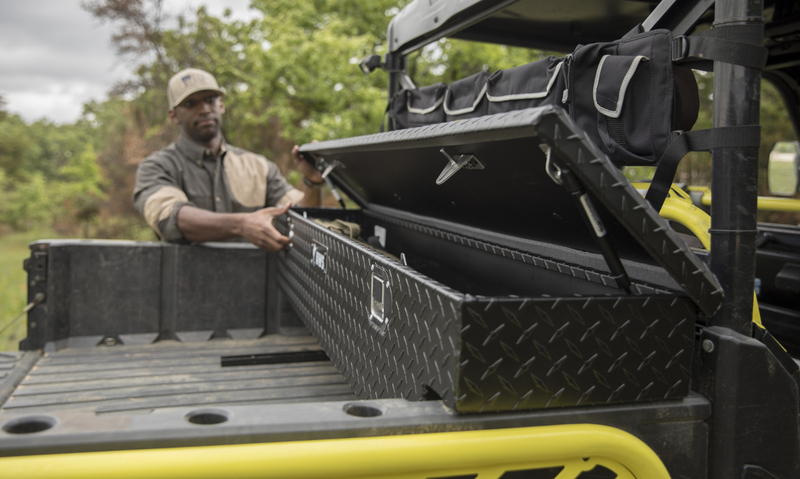 For greater resilience to the outdoor elements and for more convenient operation in the field, UWS UTV and ATV boxes come with a MicroSeal™ gasket and struts built into the lid of each tool box. The MicroSeal™ gasket lines the entire seam of the tub and lid, helping to block moisture, dirt, insects and other threats to your tools and cargo. For simple, one-handed operation, the lid also features gas struts on the interior. Once the tool box is unlocked, the struts help lift the lid to the open position, making operation easy, particularly when your arms are full. Threats to your tools and equipment are endless out on the trail. That is why our UTV and ATV tool boxes are made with extra-thick aluminum. Unlike other tool boxes, we use a 0.058” thick aluminum, welded together into a single-piece tub for maximum structural support. 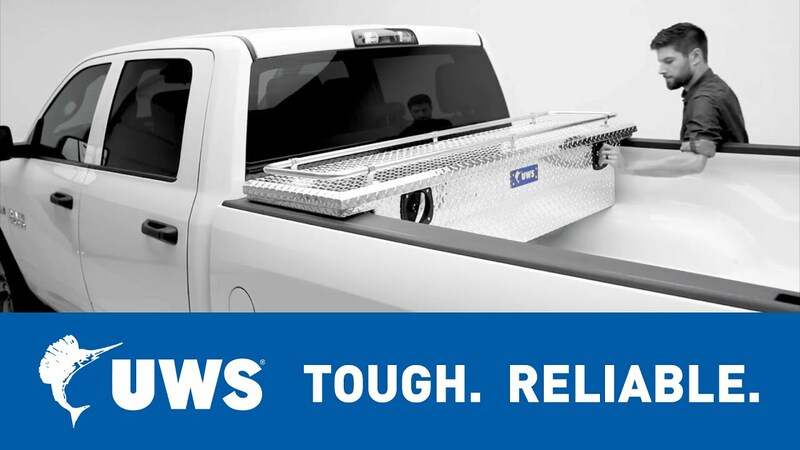 This thick aluminum build is not only stronger, but it also allows the tool box to remain lightweight and highly resilient to moisture and corrosion. 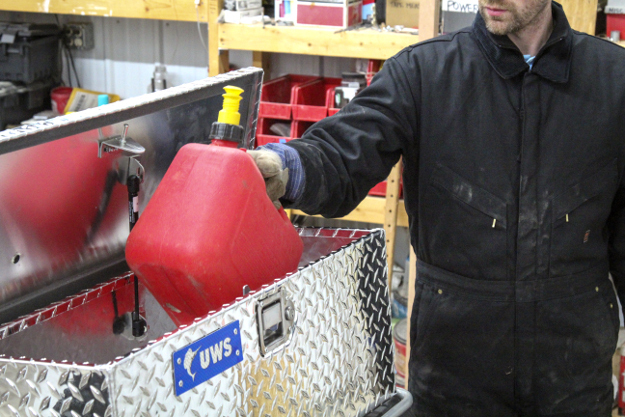 The UWS UTV tool box is designed to offer a custom fit on your side-by-side. 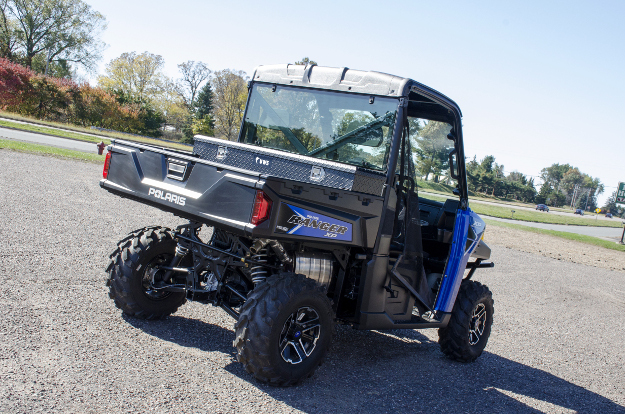 It installs with vehicle-specific brackets and hardware and is available for a number of popular UTV models. This box also features a crossover tool box style and has stainless steel lock handles for dependable security. The handles are synchronized by a connecting rod for convenient operation from either side of the vehicle, and because they are made from stainless steel, they can easily stand up to rain, snow, dirt and mud. 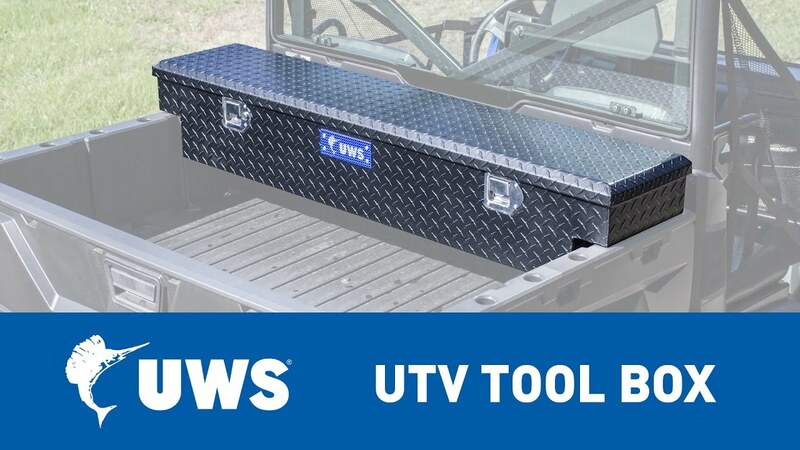 The UWS ATV tool box is designed for universal application. We offer one size in two finish options to perfectly complement the look of your four-wheeler. 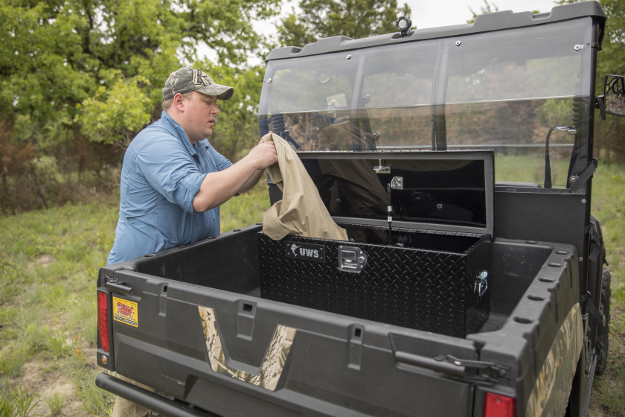 Each ATV tool box also comes with a stainless steel paddle handle that is key-operated, and it has carrying handles for easy portability wherever the job or joyride may take you.